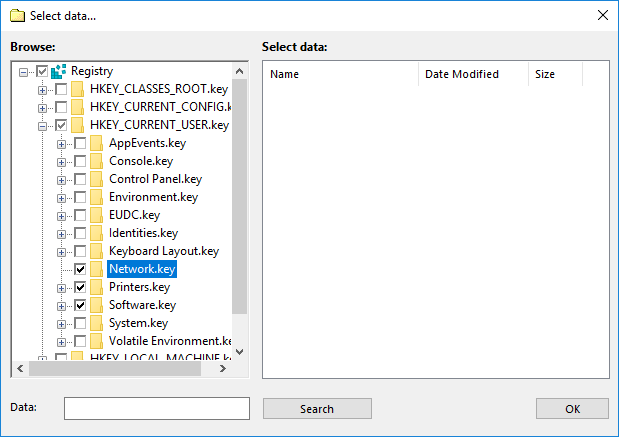 The Registry plug-in provides access to Windows Registry keys and values. It is user-specific and depends on privileges and account under which the Workstation component runs. Primary use case of the plug-in is to back up configuration and installation information of Windows applications. It is generally used in combination with the Computer plug-in. Folders correspond to registry keys. Supported attributes: time of modification. Files correspond to registry values. Supported attributes: file size. 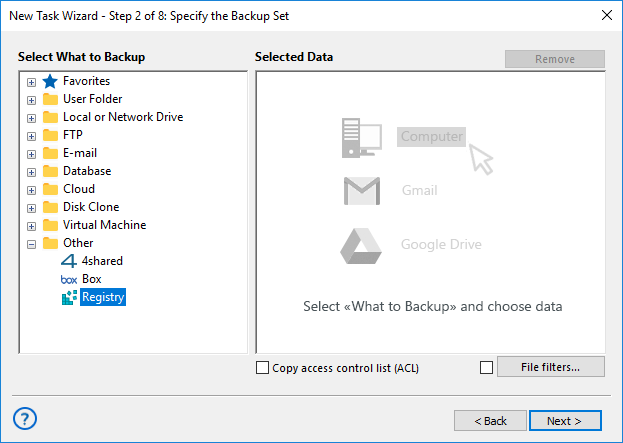 The Registry plug-in can be used as a data source in backup tasks, and as a target in restore tasks. In the Data Sources pane, find and click on the Registry item. The Select data... dialog will open. Check the boxes next to files and folders (registry values and keys) that you want to back up. When finished the selection, click OK. Selected data appears in the Backup Set pane of the New Task Wizard. For detailed information on creating backup tasks, please see Backup Task. Open the New Task Wizard. 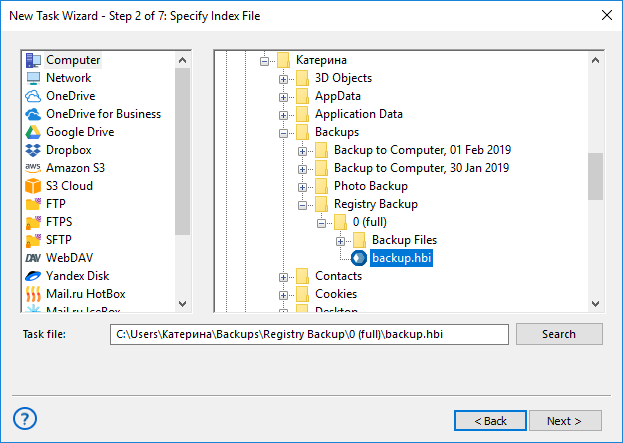 In the Specify Index File dialog, browse for a backup index file (backup.hbi), and then click Next. For example, if your Registry backups are stored on a local drive, select Computer in the Storage Destinations pane to the left, and then browse for backup.hbi in the Index File Selection pane to the right. 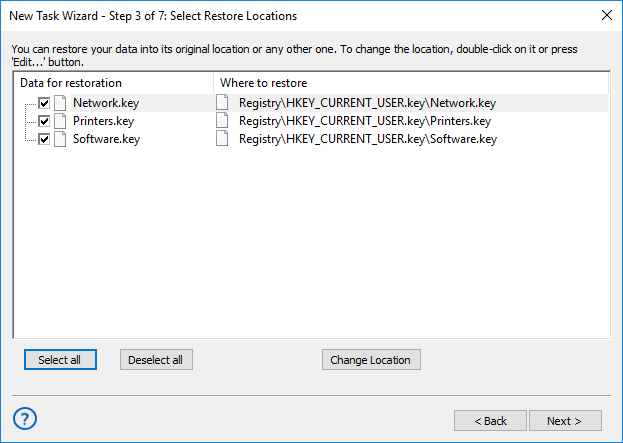 In the Select Restore Locations dialog, verify details of the restoration. Note: Registry entries can be restored to their original locations only. After checking details, you need to specify various restore options and name the task. These steps are not specific to the Registry plug-in. For detailed instructions on restoration, please see Restore Task.